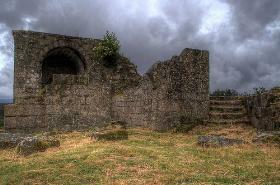 Built over the remains of a previous fortification in 1471 by fon Lope Sanchez de Moscoso, Torres de Altamira played an important role in the conflict between the Moscosos and the Mitra of Compostela in 1554. Today, little remains of this once important stronghold apart from a corner tower and a wall of the residential wing. 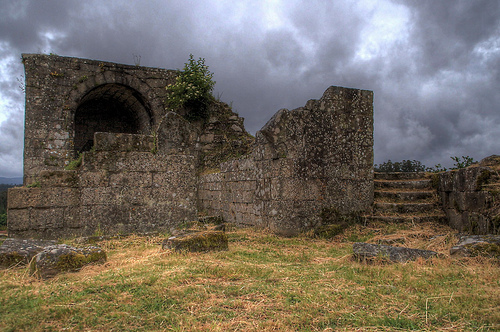 It was abandoned by the Moscoco-Altamira family in the 19th century, and since, it was left to decay. 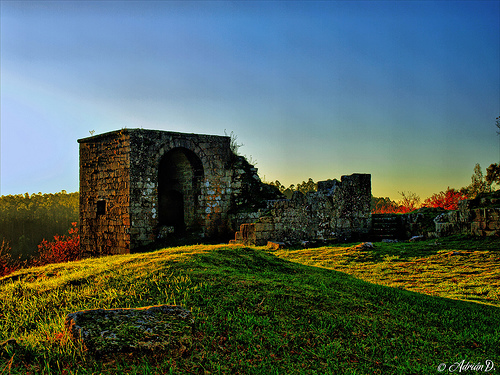 Torres de Altamira Castle is located over a hill dominating the village of San Fiz, close to Brion, commanding the ancient road between Santiago de Compostela and Noia. 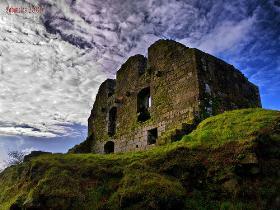 The castle is freely accessible.